There are roughly 10,000 sales tax jurisdictions in the United States, with widely varying rates. Among major cities, Long Beach, California, and Chicago, Illinois, impose the highest combined state and local sales tax rates, at 10.25 percent. Four other cities—Birmingham and Montgomery, Alabama, and Baton Rouge and New Orleans, Louisiana, rank next highest with 10.0 percent combined rates. Neither Anchorage, Alaska, nor Portland, Oregon, impose any state or local sales taxes. Honolulu, Hawaii, has a low rate of 4.5 percent and several other major cities, including Richmond, Virginia, keep overall rates modest. A 1 percentage point increase in the Louisiana state sales tax, and ballot issues in California and Georgia, drove up rates in several large cities. Research demonstrates a rise in cross-border shopping and other avoidance efforts as sales tax rates increase. Sales taxes in the United States are levied not only by state governments but also by city, county, tribal, and special district governments. In many cases these local sales taxes can have a profound impact on the total rate that consumers pay. Several private firms maintain databases of the sales tax rates in the roughly 10,000 local jurisdictions in the United States that levy them. Here, we list the combined state and local sales tax rates in major U.S. cities, defined as U.S. Census-designated incorporated places with a population over 200,000. This report complements our semiannual calculation of the average of all local sales taxes in each state. Last year, Chicago, Illinois, vaulted to the top of the list of cities imposing the highest combined state and local sales tax in the nation when a county tax increase brought the total rate to 10.25 percent, a dubious distinction it now shares with Long Beach, California, which reached 10.25 percent on July 1, 2017, following the implementation of both city and county sales tax rate increases. Four cities trail closely behind at 10 percent: Birmingham and Montgomery, Alabama, and Baton Rouge and New Orleans, Louisiana. The two cities in Louisiana are relatively new inclusions at the very top, driven by a 1 percentage point increase in the Louisiana state sales tax effective April 1, 2016. They are followed by Seattle and Tacoma, Washington, at 9.6 percent; Freemont and Oakland, California, and Memphis and Nashville, Tennessee, at 9.25 percent; and Glendale, Arizona, at 9.2 percent. Portland, Oregon, and Anchorage, Alaska, have neither a state nor a local sales tax. Honolulu, Hawaii, has the third lowest sales tax among major cities with a rate of 4.5 percent. However, Hawaii’s overly broad sales tax makes this not strictly comparable with other states. Richmond, Virginia (5.3 percent), Madison, Wisconsin (5.5 percent), and Tulsa, Oklahoma (5.5 percent), also impose low combined state and local sales tax rates. This year’s expiration of the sales tax component of Proposition 30 (2012) reduced California’s mandatory state-collected local sales tax by 0.25 percent, reducing overall rates for seventeen California cities on the list, though local rate increases in Los Angeles and Long Beach more than offset the statewide reduction in those jurisdictions. Transportation referenda in the city of Atlanta and Fulton County, Georgia, yielded an 0.9 percentage point rate increase, implemented in two phases, in Atlanta. Meanwhile, Jersey City and Newark, New Jersey, saw modest rate reductions under the first phase of a transportation funding package which increased the state’s gas tax, phases out the estate tax, and reduced the state sales tax rate from 7.0 to 6.875 percent, with a further reduction scheduled for next year. Sales tax avoidance is most likely to occur in areas where there is a significant difference between two jurisdictions’ sales tax rates. Research indicates that consumers can and do leave high-tax areas to make major purchases in low-tax areas, such as from cities to suburbs. For example, strong evidence exists that Chicago-area consumers make major purchases in surrounding suburbs or online to avoid Chicago’s high sales tax rates. At the statewide level, businesses sometimes locate just outside the borders of high sales tax areas to avoid being subjected to their rates. Delaware actually uses its state border welcome sign to remind motorists that Delaware is the “Home of Tax-Free Shopping.” State and local governments should be cautious about raising rates too high relative to their neighbors because doing so may lead to revenue losses despite the higher tax rate. This report ranks states and cities based on tax rates and does not account for differences in tax bases (the structure of sales taxes, defining what is taxable and nontaxable). States can vary greatly in this regard. For instance, most states exempt groceries from the sales tax, others tax groceries at a limited rate, and still others tax groceries at the same rate as all other products. Some states exempt clothing or tax it at a reduced rate. The taxation of services and business-to-business transactions also varies widely by state. Hawaii has the broadest sales tax in the United States, taxing many products multiple times and, by one estimate, ultimately taxing more than 100 percent of the state’s personal income. This base is far wider than the national median, where the sales tax base applies to 36.3 percent of personal income. Sales taxes are just one part of the overall tax structure and should be considered in context. For example, Washington State has high sales taxes but no income tax, whereas Oregon has no sales tax but high income taxes. While many factors influence business location and investment decisions, sales taxes are something within policymakers’ control that can have immediate impacts. (a) California and Virginia levy mandatory 1 percent statewide add-on sales taxes at the local level; these are included in their state sales tax rates. Northern Virginia and Hampton Roads have an additional 0.7 percent rate, which is treated here as a local tax. (b) Most of Birmingham is located within Jefferson County and is subject to a 10 percent sales tax. However, part of the city lies in Shelby County and is subject to a total rate of 9 percent. (c) Most of New Orleans is located within Orleans Parish and is subject to a 10 percent sales tax. However, part of the city lies in Jefferson Parish and is subject to a total rate of 9.75 percent. (d) Most of Atlanta is located in Fulton and Dekalb counties and is subject to an 8 percent sales tax. However, part of the city lies in Cobb County and is subject to a total rate of 7 percent. (e) Most of Aurora is located within Adams County and is subject to an 8.5 percent sales tax. However, part of the city lies in Arapahoe County and is subject to a total rate of 8.0 percent. (f) Most of Kansas City is located within Jackson County and is subject to a 8.35 percent sales tax. However, the city’s top rate is in Platte County, at 8.475 percent, while another part of the city lies in Clay County, where it is subject to a total rate of 8.1 percent. (g) Most of Austin is located within Travis and Williamson counties and is subject to an 8.25 percent sales tax. However, part of the city lies in Hays County and is subject to a total rate of 7 percent. (h) Most of Minneapolis is within Hennepin County and is subject to a 7.775 percent sales tax. However, part of the city lies in Anoka County and is subject to a total rate of 7.625 percent. (i) Most of St. Paul is located within Ramsey, Washington, and Dakota Counties and is subject to a 7.625 percent sales tax. However, part of the city lies in Hennepin County and is subject to a total rate of 7.775 percent. (j) The sales taxes in Hawaii and New Mexico have broad bases that include many services. (k) Most of Omaha is located within Douglas County and is subject to a 7 percent sale tax. However, part of the city lies in Sarpy County and is subject to a total rate of 5.5 percent. (l) Most of Cincinnati is located within Hamilton County and is subject to a 7.0 percent sales tax. However, part of the city lies in Claremont County and is subject to a total rate of 6.75 percent. (m) Arlington is a county without any incorporated municipalities. However, we treat it as a city here because it is included in the Census Bureau’s annual list of incorporated places. (n) In the table, “Honolulu” refers to the incorporated portion of the larger City and County of Honolulu. Jared Walczak and Scott Drenkard, “State and Local Sales Tax Rates, Midyear 2017,” Tax Foundation Fiscal Fact No. 553, July 5, 2017, https://taxfoundation.org/state-and-local-sales-tax-rates-midyear-2017/. Jared Walczak, “Chicago Adopts Highest Sales Tax Among Major Cities,” Tax Foundation Tax Policy Blog, July 16, 2015, http://taxfoundation.org/blog/chicago-adopts-highest-sales-tax-among-major-cities. California Board of Equalization, “New Sales and Use Tax Rate for Los Angeles County Operative July 1, 2017,” https://www.boe.ca.gov/pdf/l499.pdf. Tyler Bridges, “Louisiana Sales Tax System Now Ranks Worse Than Last Place,” The Advocate, Mar. 31, 2016, http://theadvocate.com/news/15350511-127/louisiana-sales-tax-system-now-ranks-worse-than-last-place. Joseph Henchman, “California Prop 55: Extending Higher State Income Taxes for Education and Health,” Tax Foundation Tax Policy Blog, Oct. 24, 2016, https://taxfoundation.org/california-prop-55-extending-higher-state-income-taxes-education-and-health. Georgia Department of Revenue, “New Atlanta and Fulton County Local Sales Taxes,” Policy Bulletin SUT-2017-01, Jan. 19, 2017, https://dor.georgia.gov/sites/dor.georgia.gov/files/related_files/document/LATP/Policy%20Bulletin/SUT-2017-01___New_Local_Taxes.pdf. 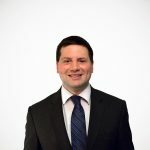 Jared Walczak, “New Jersey’s Gas Tax Increase is Just One Part of the Story,” Tax Foundation Tax Policy Blog, Oct. 24, 2016, https://taxfoundation.org/new-jerseys-gas-tax-increase-just-one-part-story/. Mehmet Serkan Tosun and Mark Skidmore, “Cross-Border Shopping and the Sales Tax: A Reexamination of Food Purchases in West Virginia” (Research Paper), Sept., 2005, http://rri.wvu.edu/wp-content/uploads/2012/11/Tosunwp2005-7.pdf. See also Randolph T. Beard, Paula A. Gant, and Richard P. Saba, “Border-Crossing Sales, Tax Avoidance, and State Tax Policies: An Application to Alcohol,” Southern Economic Journal 64, no. 1, (1997): 293-306. For a list, see Jared Walczak, Scott Drenkard, and Joseph Henchman, 2017 State Business Tax Climate Index, Tax Foundation, https://taxfoundation.org/publications/state-business-tax-climate-index/. For a representative list, see Jared Walczak, Scott Drenkard, and Joseph Henchman, 2017 State Business Tax Climate Index. John Mikesell, “State Retail Taxes in 2012: The Recovery Continues,” State Tax Notes, June 2013, 1001-1006. 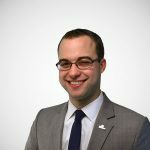 Raymond Roesler is a 2017 summer intern with the Tax Foundation Center for Legal Reform.